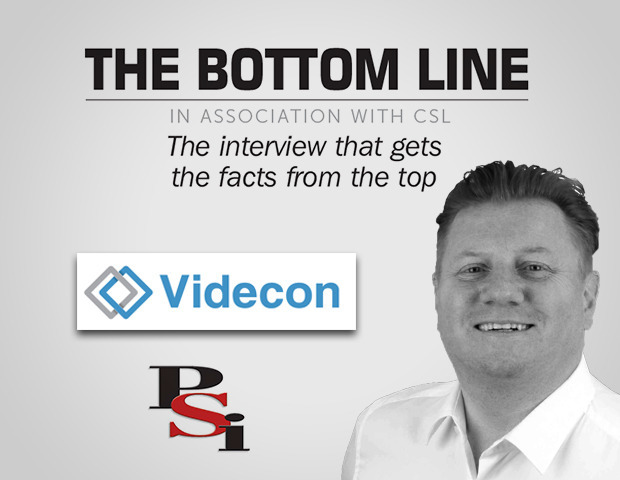 This month Simon Banks talks to Andy Croston, Owner of Videcon. The leading trade-only distributor of security products and services. What is driving the need for wireless communications for CCTV amongst Installers? Recent improvements in technology now mean that products capable of transmitting data and video can be increasingly used on remote sites that have minimal power and/or limited access to broadband. We have witnessed excellent growth in the video market for commercial and construction sites where valuable stock and items of machinery are often left in vulnerable places. Furthermore, mobile applications now provide fantastic means to self-monitor assets. Adding a wireless communication device, such as a CSL Router, provides a cost-effective solution for the transmission of data and video, with the provision of a redundancy backup for network failure. In your view how quickly will Installers start to migrate their DVRs to the cloud? Not as quickly as some cloud providers think! Whilst there are opportunities for cloud applications in our industry I think that data storage costs will prohibit market growth for cloud-based solutions. Nevertheless, we are currently involved with many exciting projects that are very clear indicators that this technology will be widespread in the near future. How important are video analytics and what are the main advantages? Deep Learning Video Analytics (DLVA) provide immeasurable benefits and advantages to the security sector. There are already numerous enterprise systems that have DLVA capability, however the real drive will occur when we start to see it appearing as a mid-market product. By Q4 this year, our Concept Pro product range will deliver powerful on-board processing with the capability to deliver DLVA with greater than 90% accuracy. This is a significant step up from the basic analytics currently available on the market and I am sure that a great number of the UK monitoring stations and integrators will welcome these significant reductions in false alarms. Our customers will be able to provide endusers with solutions that currently fall way above their security budgets, such as people counting, parking control and heat mapping, to name but a few. Do you feel that CCTV installations today provide resolutions high enough for criminal convictions? Yes, system resolution has been in a strong place for many years now. As always, camera placement and set-up have a massive effect on whether a system provides sufficient coverage. Perfecting this can be down to rigorous and comprehensive training and we run two – often oversubscribed – training days a month. This is an indicator of the skills shortage the UK is currently facing! I am constantly engaged in conversations with integrators who cite this as a key issue. We are keen to support engineers in gaining a strong understanding of a products’ capabilities. What are the next major advances on the horizon for CCTV? Recently in the USA, I was introduced to Neuro Networking, the next generation of DLVA. Neural Networking will learn behavioural patterns of a scene, spot unusual activity, cross reference this with a database image and report this to the system administration. We are still at the development stage but Concept Pro will be among the first to develop this technology in the European market. With this on the horizon we can be sure that this is a very exciting time to be in our industry and for the installers and integrators who embrace the changes coming, the future is very bright indeed. I've installed a good few of these units and they have worked great. The app is a great bonus.